Registration for the 75 and 50 Mile Rides starts at 6:00 am with the 75 mile ride starting at 6:30 am and the 50 mile ride starting at 6;35 am. Registration for the 25 mile ride starts at 7:00 am with the ride starting at 7:30 am. Registration for the 10 mile ride starts at 8:00 am with the ride starting at 8:30 am. 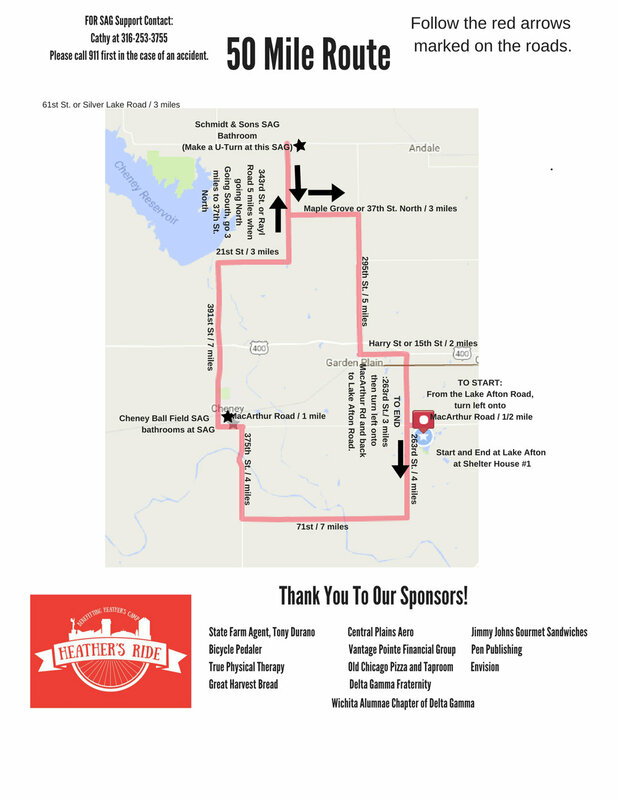 The ride will begin and end at Shelter 1 at the Lake Afton Park, 25513 West 39th St S, Goddard, KS 67052 . The shelter is on the same road as the bait shop. Look for the Heather's Ride banner to find us.We have an awesome brunch planned for after the ride. Registration is $30 prior to June 24th. After June 24th until July 6th, online registration will be $40. You can register in person on July 8th for $40. Payment will be accepted through cash, check or card. We will have some extra t-shirts for sale for $12. Over the past 4 years, I have been asked "why" many times. "Why do you spend so much time talking about Heather's Camp?" "Why do you serve on the Heather's Ride Board?" "Why do you spend so much time at Envision?" "Why do you want to teach the visually impaired?" "Why did you change your major so many times? Now you have to be in school longer." So, I decided to try to explain my "why." My why is not just one reason, one person, or one activity. My why can be seen on the faces of so many individuals. My why can be heard in the laughter of the people at Heather's Camp. 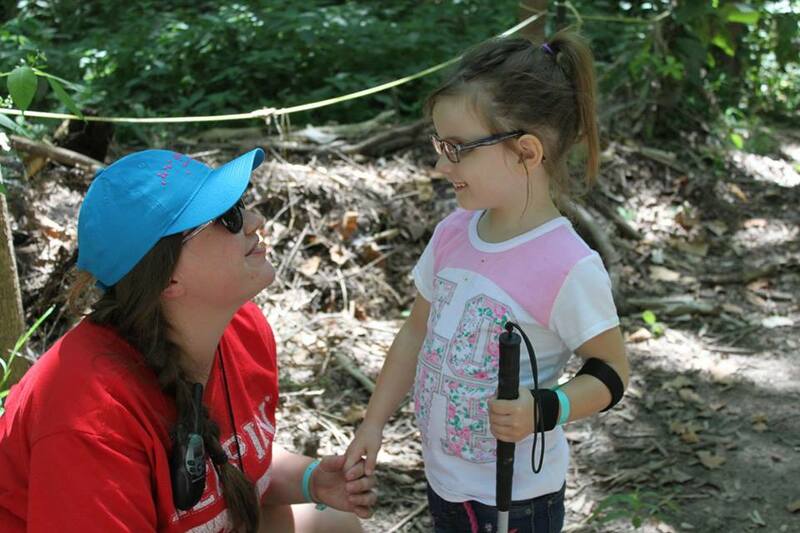 My why can be discovered in the passion and commitment found in the amazing individuals that help put on Heather's Camp, Heather's Ride, work at Envision, or strive for the betterment of individuals with visual impairments or who are blind. To try to explain what the relationships I have formed over the past 4 years with a plethora of people mean to me, I simply couldn't do it. However, you can get a glimpse of my passion in these pictures. These pictures are more than just things to hang on the wall, or more than just photographs to use in advertisements. The people seen here are real people, and the impact that we make on them is real. I know that my life's purpose and devotion truly helps and impacts people, and that is something that I am forever grateful for. I have chosen to work towards a life of giving, and to live a love of loving, and that is my "why." When I am spending my time with people who are visually impaired or blind, or I am learning about how I can successfully teach students with visual impairments, I am happy. I have a purpose. I am doing God's work. So yes, I might spend too much time talking about Heather's Camp. I might have to give up other activities so I can serve on Heather's Ride planning board. i might be in school for an extra semester. However, I would not change a single thing.